Report templates are produced by adding the system’s data fields into a document template. 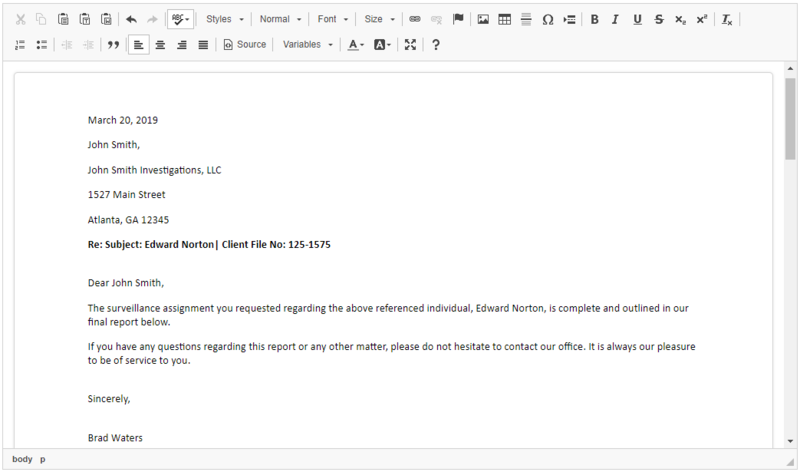 Once an assignment is complete, the report feature populates all of the case-related material into a final Microsoft Word document for review or further editing. We’ve made it easy to modify our report templates. 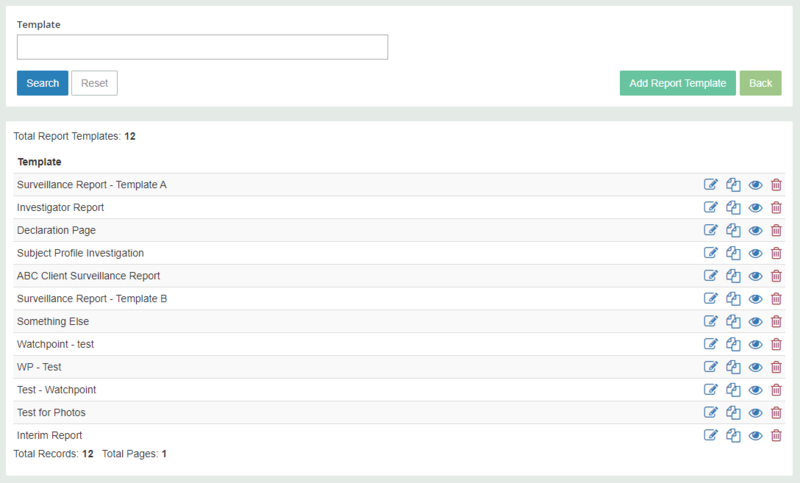 Add any system field to your report. Modifying information anytime in the process. Your investigators will thank you! Everyone has that investigator that cannot get the correct wording down. To help make the most of your time and energy, we’ve rounded up some of our favorite scripts and templates for making writing sentences much easier and less time-consuming. Whether you’re adding report entries or dealing with day-to-day work communications, customize the wording and reduce the time it takes to create and edit reports.